KeepLAMoving is spearheading the fight against unsafe lane removals from arterials. Around the country, government officials are being tricked by self-styled "transportation advocates" into approving disastrous arterial "road diets" -- when car lanes on highly-used corridors are "repurposed" into things like bike lanes and miniature parks. The result is increasing accident rates, closed businesses, lost jobs, and, of course, gridlock. The people pushing these projects use inflammatory rhetoric and made up "facts" to convince decision-makers that there is an "epidemic" of pedestrian and cyclist deaths due to speeding cars, and that arterial road diets are the only way to make streets safer for all users. Neither assertion is true. Especially not when safer bikeways could be installed on adjacent, lower volume streets, making cycling more accessible for riders of all abilities, without all the other negative effects on communities. Read on for the real story. On March 25th LA Councilman Mike Bonin blasted out this video through his website, Facebook page and YouTube channel claiming that he’s doing “something” to reduce traffic congestion in West Los Angeles. As Mike says in the intro "Being stuck in gridlock is miserable, but it doesn't have to be inevitable"...unless Mike Bonin is your councilman that is! 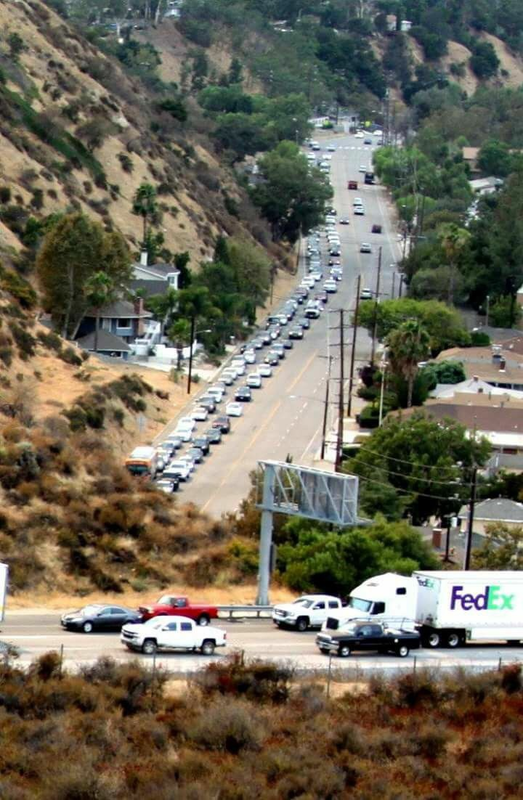 Mike Bonin has done more to create traffic and gridlock in Los Angeles than any other elected official. From giving the proverbial “green light” to high density developments on any piece of vacant land to his support for traffic clogging ‘road diets’ Mike has no ground on which to stand to say he’s helping solve Los Angeles traffic problems. And while claiming he’s championing efforts to reduce traffic he’s telling us he’s actually planning to make it worse! Rather than support efforts to make LA’s road system work better Mike tells us he’s planning to mess up more roads with speed humps and "bulb outs" (those sidewalk extensions that remove dedicated right turn lanes) and the addition of more poorly timed traffic signals all over the Westside! And that’s not all! Mike's taking away more car lanes! Because the bus only lane on Wilshire Blvd has been such a “success” Mike is going to install 'road diets' on the Westside's busiest streets to add more! Lincoln, Sepulveda and Pico are all targeted on Mike's latest "Road Diet Hit List"! It’s hard to believe that Mike hasn’t learned from his mistakes in Venice, Arterial ‘Road Diet’s’ don’t work. 1. LADOT lied about Pershing traffic volumes, and misrepresented expected outcomes of a road diet by ANALYZING LESS THAN 1/3 OF THE TOAL ROADS ‘DIETED’ (instead of looking at the global impact of lane removals). 3. Vision Zero claims that Road Diets reduce collisions. In Playa del Rey, the annual collision rate increased by OVER 200% from 11.6 per year pre-diet to MORE THAN 40 in the first 4 months after installation OF THE ROAD DIET. 4. Vision Zero and other agencies claims regarding speed and death rate of pedestrians ARE GREATLY EXAGERATED. The DATA COMES FROM A STUDY OUT OF THE uk DONE IN THE 1960’S AND THE UK govt HAS admitted the stats were exaggerated almost 10 years ago. yet THE STUDY IS Still being used. 5. City Councilman’s office claimed that cars were the #1 killer of kids under 14. In actuality, motor vehicle deaths among kids 0-14 are very low (fewer than 5 per 100,000). Teenage car occupants (15-19) skew the data dramatically, rising to 26 per 100,000). Among unintentional injury deaths, for kids under 1, suffocation is by far the largest group at 66%. For children 1-4, drowning is the highest at 27%. BTW, California is under the national death rate average by 30%. 6. LADOT and City of Los Angeles attempted to circumvent CEQA regulations on Vista Del Mar by claiming a public safety emergency. the city made changes that had no positive impact, created massive traffic, and ignored the LADOT’s own previous safety recommendations. Ultimately, a lawsuit FILED BY KEEPLAMOVING to challenge the CEQA exemption was successful. 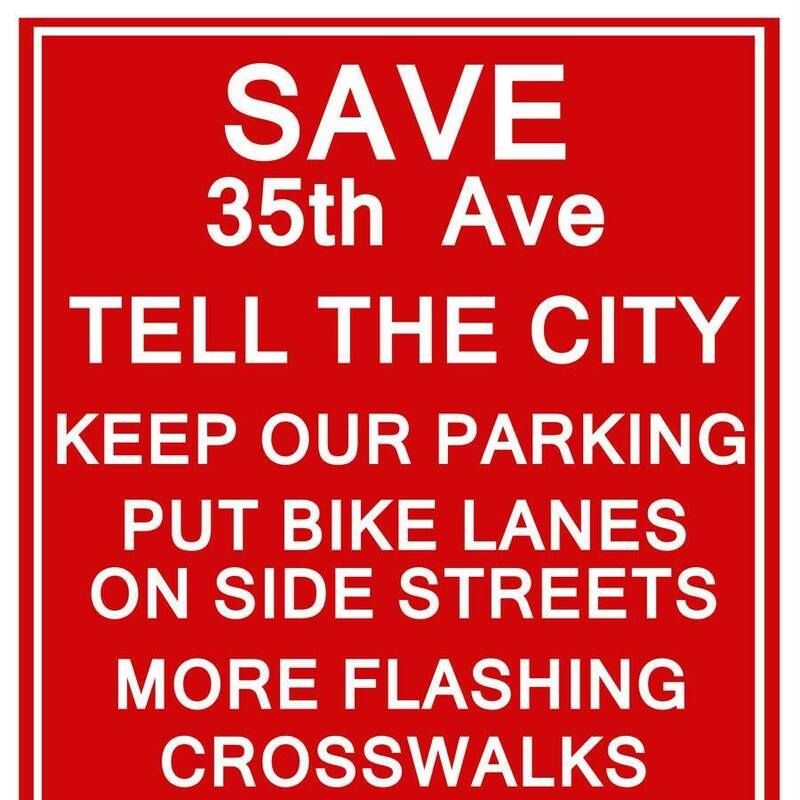 Take Action: Tell City Hall "No More Arterial Road Diets!" data shows road diets fail to make ARTERIALS safer. Road diets don't belong on major commuter corridors. That's according to the Federal Highway Safety Administration, the LADOT's Complete Streets Design Guide, as well as every major study on such lane removals. Yet LA Councilmember Mike Bonin and the LADOT continue to push for them, falsely claiming they make streets safer. Now new SWITRS accident data demonstrates just how dangerous Mike Bonin's experiments have been for LA neighborhoods. Accidents and injuries rose not only on Venice Blvd. in Mar Vista and the streets dieted in Playa del Rey last year, but surrounding streets became more hazardous too. The charts below summarize our findings. This kind of stuff can make peoples' eyes glaze over. But of course, that's what Mike and the DOT are counting on. Los angeles needs safer solutions than road diets on our commuter corridors. Our "leaders" want to force you to give up driving. They're installing unsafe road diets on major boulevards all over the city. And they're doing it without giving us realistic alternatives. It's stealing time from our lives in a misguided and dangerous plan that's hurting families, communities, and businesses. "Road repurposing" as they call it, should be done thoughtfully, not spitefully. We need solutions that help us embrace a multi-modal future without making it impossible to live here now. KeepLAMoving is helping communities fight for smart and safe improvements to Southland streets. When the data doesn't support installing a road diet -- as is too often the case -- neither do we. And neither should our elected officials. Support the fight for the streets you drive. Click on a link to connect with what's happening in your neighborhood, and to DONATE to keep your area's efforts going. Playa del Rey - REVERSED! Orange Grove - ON HOLD!! Seattle - 35th Ave Road Diet Defeated! !